Come join me for fun, friendship, and ART at the Pontil and Paintbrush open house on Saturday, November 12, from 10 am to 2 pm, in San Antonio, Texas. 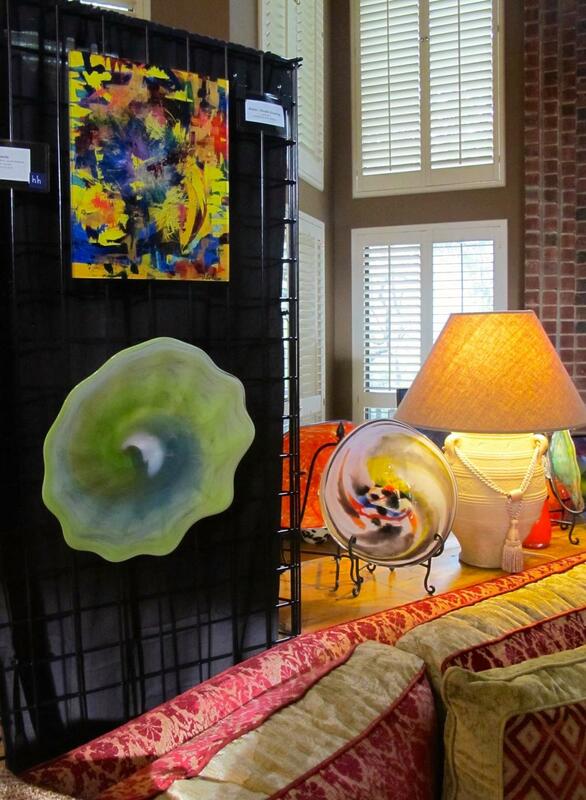 You can see some of my latest paintings, and enjoy glorious hand-blown glass pieces from my gracious host, friend and fellow artist Carl Covert. You can see more of his work at https://www.facebook.com/covertglass/. Please feel free to share the invite with your friends. Hope to see you there! I couldn’t resist sneaking in a few surreptitious shots of the Photographer during a recent photo shoot of my paintings. Don’t tell Wayne Kondoff. I’m always thrilled to get to this stage in the painting process. Putting the paintbrush down for the last time after completing a painting is just the beginning. What do you mean? Aren’t you done with the painting then? Not even. The after-painting party is just beginning. First, there are many fussy things I do afterwards to ensure I am one with my painting and my painting is at one with me. This fussy part can take days to months. But this post is not about my funny artist rituals. I follow up with my “official” post-painting checklist, which, at last count, contains around 16 steps. And one of those steps involves getting a high quality, high-resolution photograph of the painting. While I can photograph my artwork in a pinch, I prefer to have professional images taken. And this is where the Photographer comes in. I’m convinced he/she is one of your best friends in the artistic process. There is something quite thrilling about seeing a well-taken photograph of your painting that faithfully represents the original, and knowing you are about to bare your soul and share your creation online. Showing our colors by sharing a few photos from our 2015 Pontil & Paintbrush event. 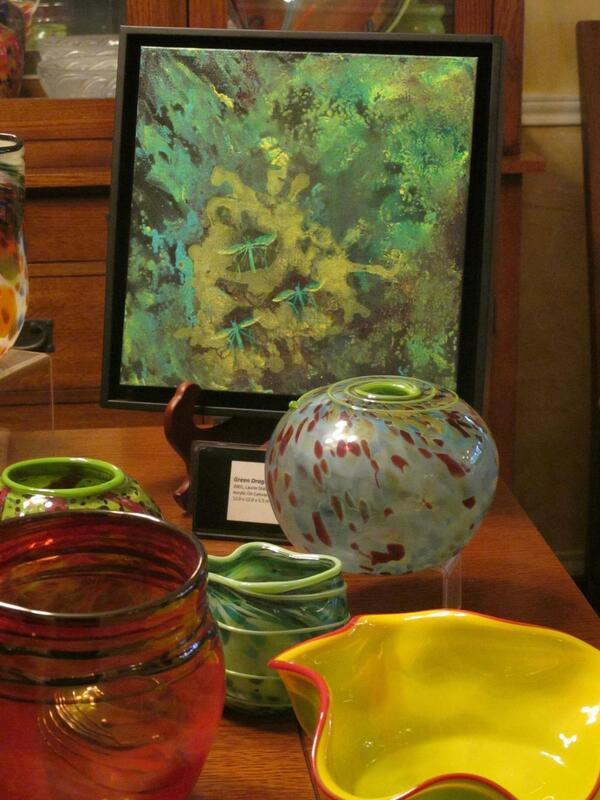 Glass by Carl Covert, Paintings by Laurie Stallman, Event Photography by Teresa Avallone.